Alexander the Great conquered most of the world known to the ancient Greeks. But even while he was overthrowing the Persian Empire and delivering arms to India, he found time to play a game resembling modern handball. In fact, he was so enthusiastic about it, he introduced it to Greek colonies in Italy. The celebrated military commander wasn’t the first person to indulge in the pastime. Evidence suggests people have been playing variations of handball since the beginning of recorded history. Ancient Egyptian tombs have renderings of priests striking a ball with their hands. Homer wrote about a similar activity in the Odyssey, and Romans later played a game in which teammates threw a ball, keeping it away from opponents. A similar game shows up in ancient Mexican art. In the 1400s, wealthy Frenchmen played jeu de paume, an indoor game where players used their palms to hit the ball. One female enthusiast, Margot of Hainault, once defeated several male challengers. King James I was passionate about the game too, and paid dearly for it. He blocked up a cellar window that was interfering with his game. That left him no escape route when his assassins came calling. German gymnastics instructor Konrad Koch developed a sport similar to modern team handball in the 1890s, and Raffballspiel became popular in German schools. Team handball, as we know it today, emerged in Northern Europe in the late 1800s. Denmark’s Holger Nielsen published the game rules in 1906. The sport rocketed in popularity a few years later when an international soccer official encouraged soccer players to pick up handball in the off-season to stay in shape. Germany and Belgium squared off in the first international men’s game in 1925. Germany and Austria clashed in the first women’s game five years later. Seong Ok Oh of Korea sets to shoot at goal in the women's handball gold medal match during the Athens 2004 Summer Olympic Games. ((Jonathan Ferrey/Getty Images))The International Amateur Handball Federation was formed in 1928, succeeded by the International Handball Federation in 1946. 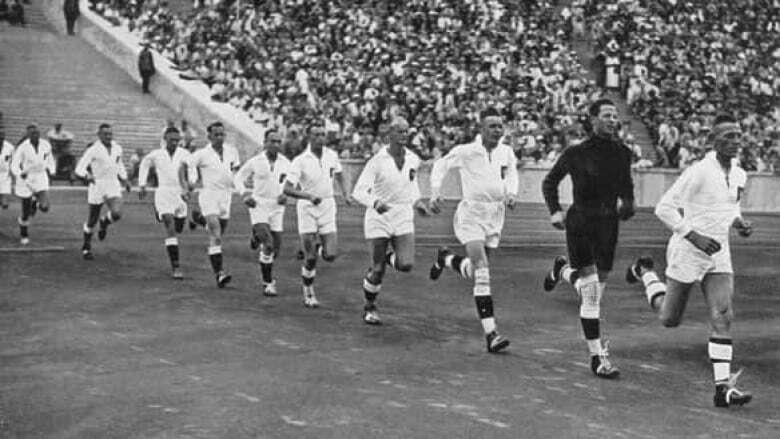 The sport made its Olympic debut in 1936 at the request of Adolf Hitler. Twenty-three men ’s teams competed outdoors in the Berlin Games, and the results delighted Der Fuehrer. Germany placed first followed by Austria and Switzerland. Handball was removed from the list of Olympic sports while it developed further as an indoor sport in Scandinavian countries. It re-emerged at the 1972 Munich Games as an indoor sport, and women’s team handball made its Olympic debut four years later. In that era, Eastern European countries emerged as the dominant force in the men’s and women’s games. Near the end of the Second World War, European immigrants introduced team handball to Eastern and Central Canada. It was first played at Camp Borden, an army base in Ontario. The sport caught on at Canadian schools where it was often called Bordenball. Eastern Europe has remained strong in international competition in recent years. The Russian men defeated Sweden in the final of the men's tournament in Sydney in 2000. The victory surprised many observers and the Swedes themselves, who entered the final as the only undefeated team in the tournament. Four years later, Croatia won the men’s competition at the Athens Games, with Germany taking the silver medal and Russia claiming the bronze. Scandinavian countries have fared better in women's competition. Denmark won the women's Olympic tournament in 1996 and 2000. In Sydney, the Danish women came back from a six-goal deficit to beat Hungary in the final. Danish women also won the gold medal in Athens, while South Korea won the silver and Ukraine claimed the bronze.